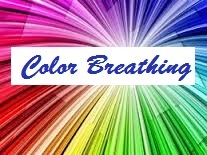 Today I want to share directions for the Color Breathing Exercise featured in Nevill Drury’s book Creative Visualization. To practice this exercise choose the color healing you want to work with from the Healing Colors provided below. 1. 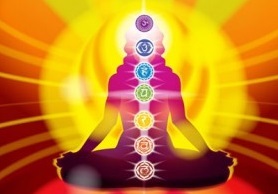 Next visualize the color you have selected and continue until it is clear in your inner vision. 2. Imagine your entire body being bathed in this healing color, maintaining a pattern of breathing deeply, while visualizing the color drawn into your heart center with each inward breath. 3. 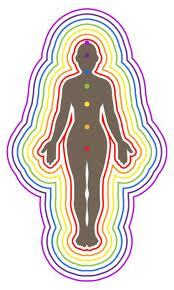 Visualize the healing color spreading throughout your body and to the areas requiring more healing. Red Stimulant, increases temperature, heartbeat and circulation, use for colds, anemia, sciatica, rheumatoid arthritis. Orange Stimulant, activates respiratory system, energizes thyroid gland; use for coughs, colds, cramps, or muscle spasms. Yellow Stimulant, stimulates the mind, relieves lethargy, acts as a tonic; use to decrease mental sluggishness and revitalize the system as a whole. Green Relaxant, relieves insomnia and irritability, calms nerves; use to relieve exhaustion and inflamed conditions. Blue Relaxant, relieves inflammation, lowers blood pressure; use for burns, itching, and pain of any kind. Indigo Relaxant, intuitive color, sedative and pain-relieving qualities; use for treating infections of the eye, ear, and nose. Violet Relaxant, spiritual color, sedates the mind and nervous system, use to lower the heart rate and to induce sleep.